Is your conservatory too COLD in the winter? Too HOT in the summer? Too NOISY when it rains? Or simply looking OLD and TIRED? 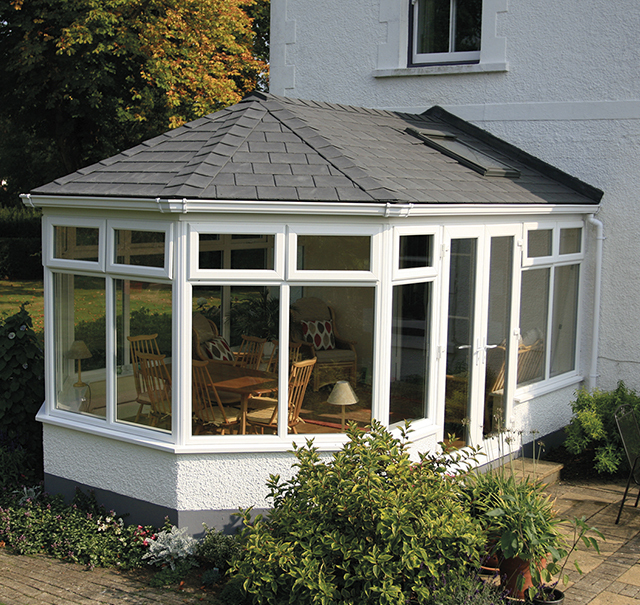 Consider a new roof for your conservatory to solve your problems, transform it into a comfortable all-year round living space and have it they way you've always wanted it. We are pleased to announce our new product, launching early 2018. Turn your conservatory into a full time living area. Totally reduces noise and sun glare. Leaves a pleasant temperature all your round. No longer too cold in the winter or too hot in the summer. Internal and external finish of your choice. A range of roof tile and slate options. Fully guaranteed for 10 years. For more information or to get a FREE no-obligation quote, please click here or give us a call on 0191 4559103.